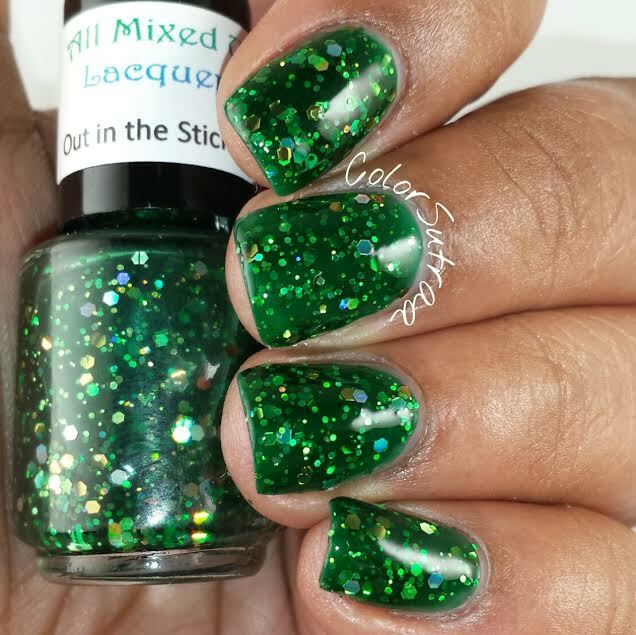 A selection of ALL MIXED UP LACQUERS : Swatches, Review and NAIL ART! 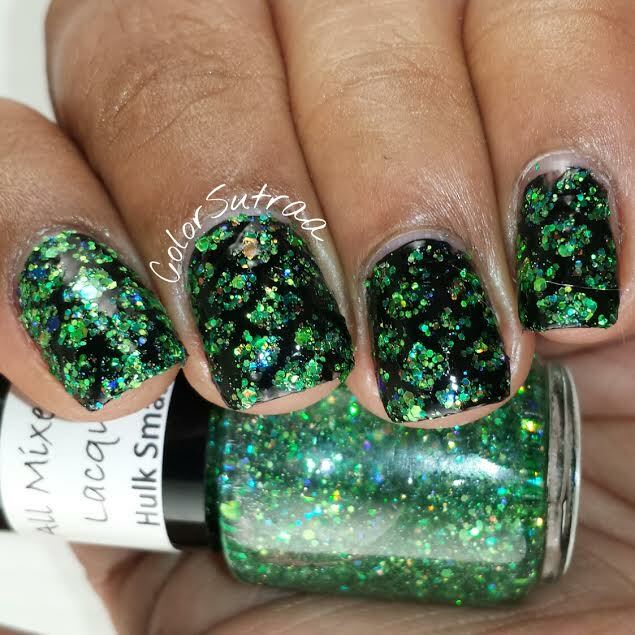 Hi there, my darlings!This afternoon, as always as part of our featured event, I'd like to share with you my review and some nail art I created with a few pretties from All Mixed Up Lacquers! 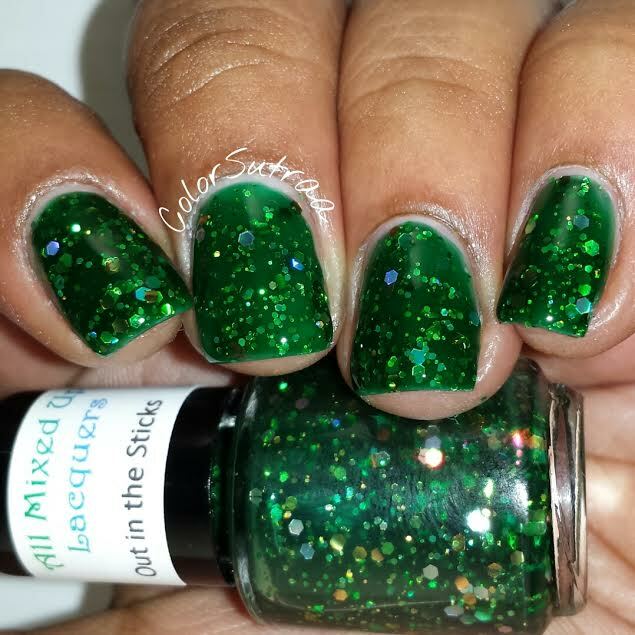 Ready, my darlings?! 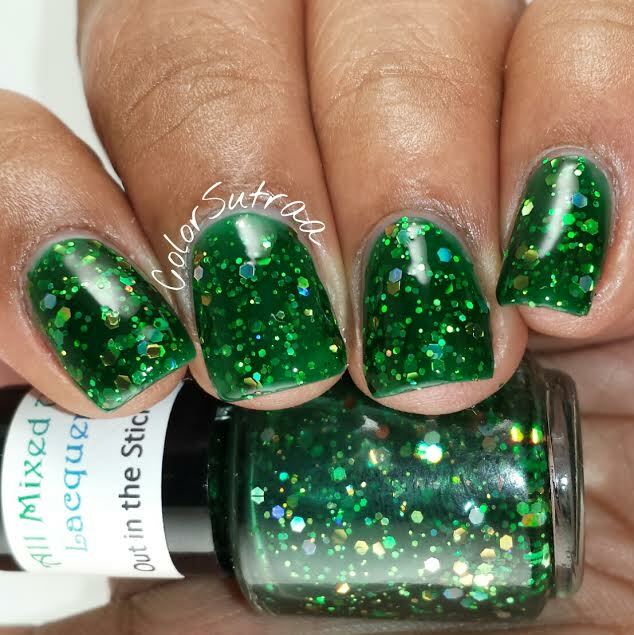 Out in the Sticks is an emerald green jelly packed full of tons of metallic and holo glitters. 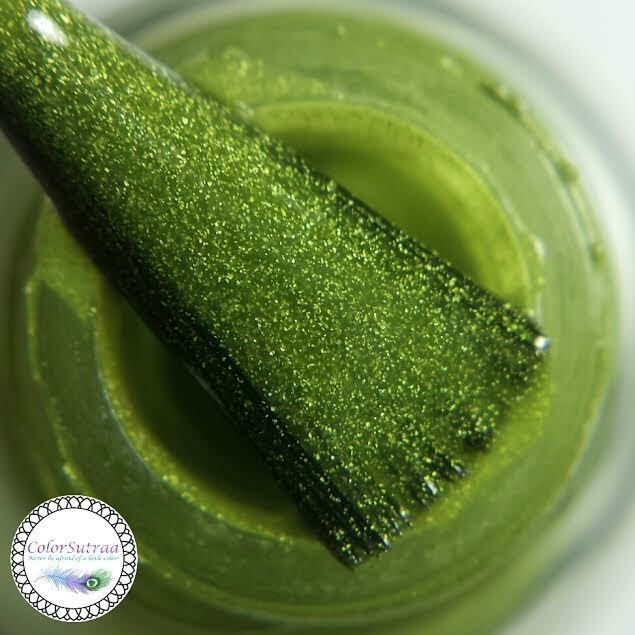 Lovely formula and application--the swatches below show 3 easy coats topped with 1 generous coat of Glisten & Glow's Hk Girl topcoat. So vibrant, so squishy! 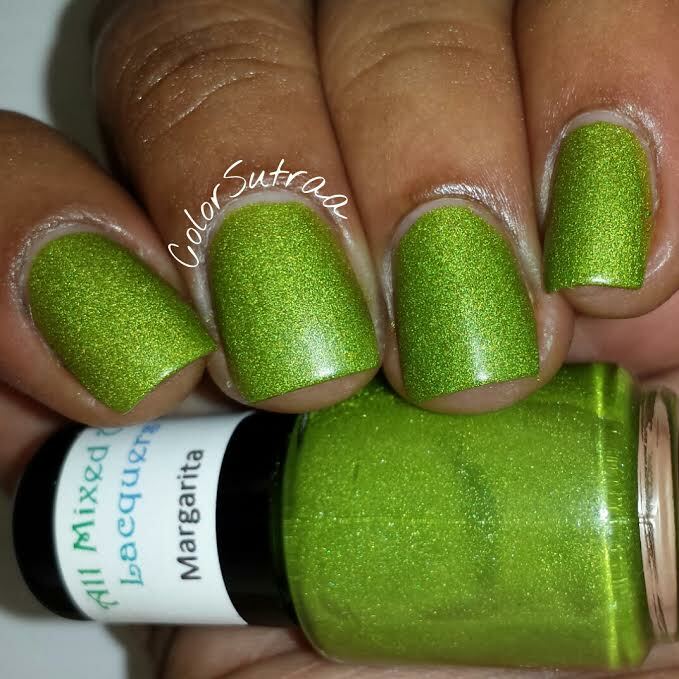 Margarita is a neon lime green polish with scattered holographic shimmer. 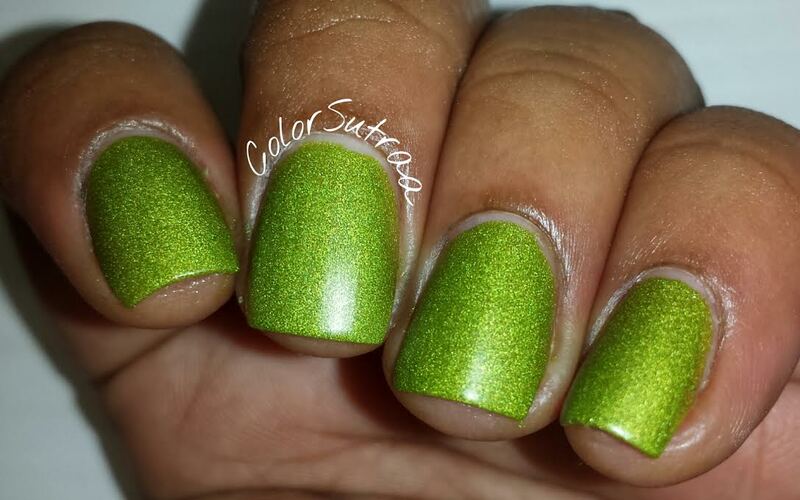 Again, no complaints at all with formula or application and the swatches below show 3 thin coats by itself. 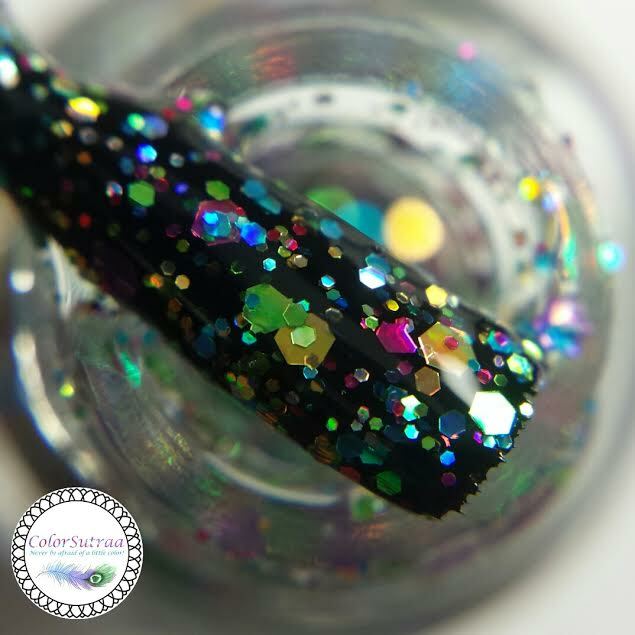 Now this beauty does dry matte but I though the effect was too cool to topcoat! 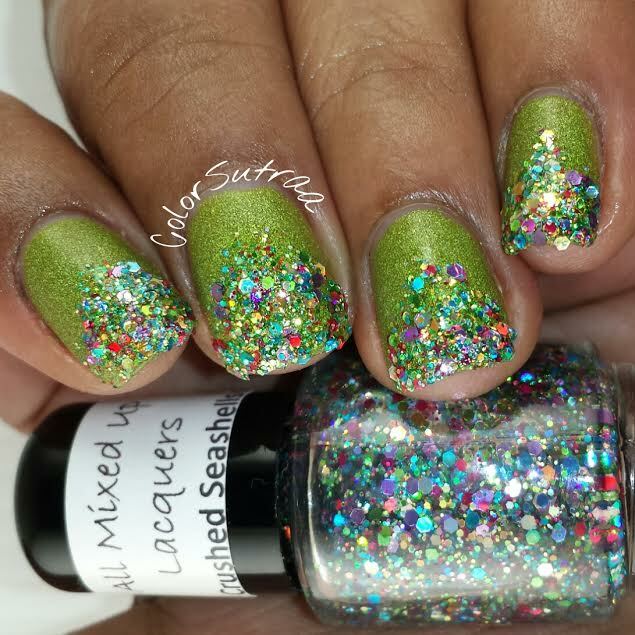 Crushed Seashells is a true glitterbomb, containing glitters of various sizes and colors in a clear base. 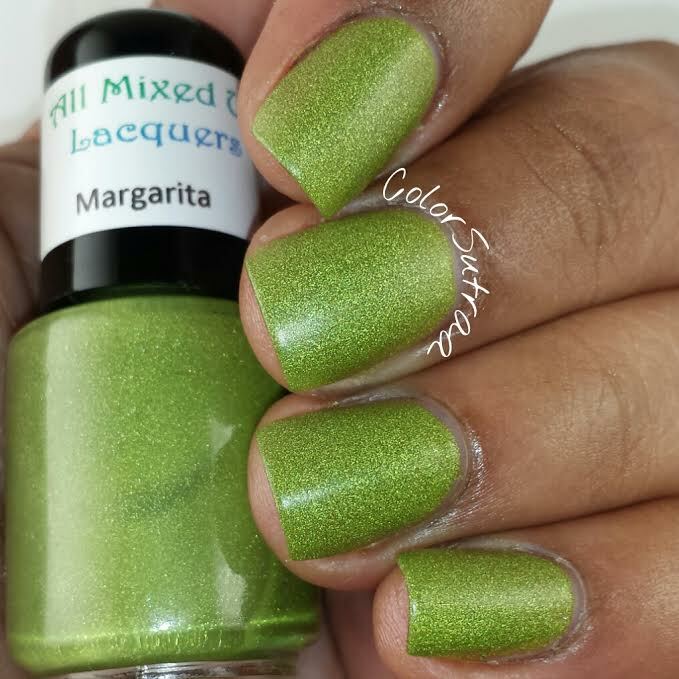 I decided to do a bit of nail art with this one, rather than a straight-up swatch--the pics below show Crushed Seashells sponged on the tips of my Margarita mani. 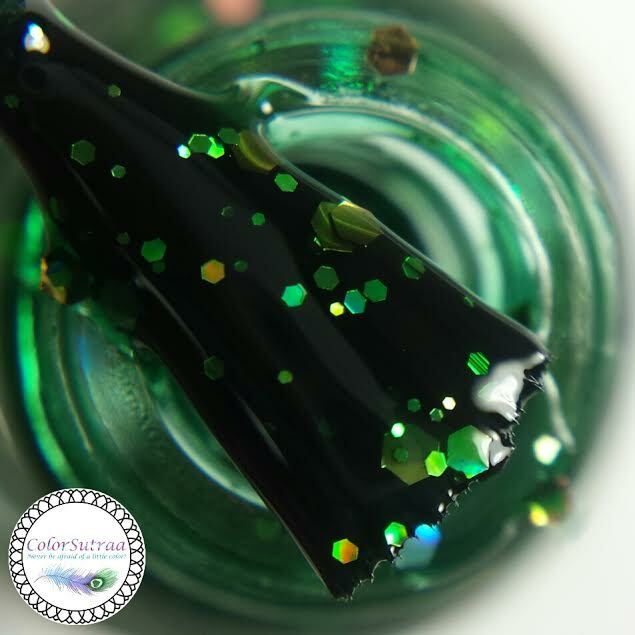 The coverage was great and I love how the different colors play with each other! 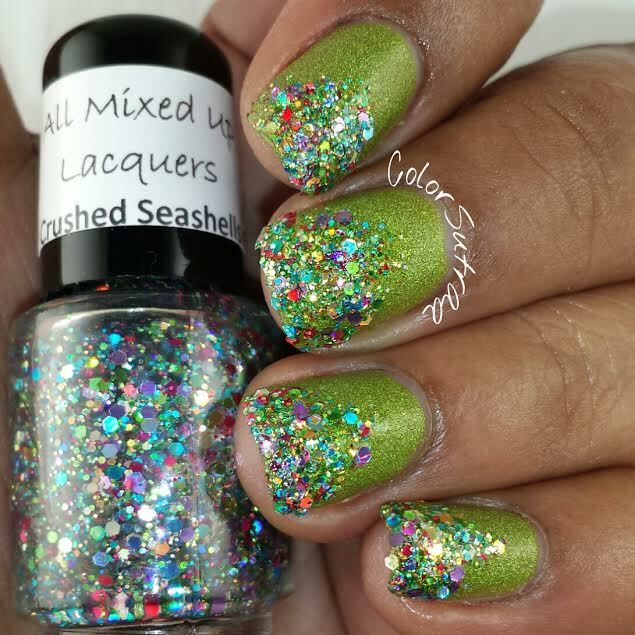 Next up, BEACH NAIL! 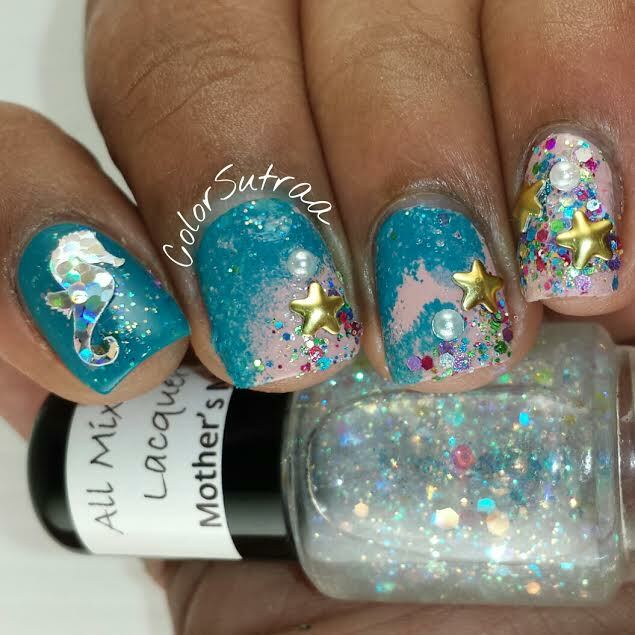 This nail art look was created with two All Mixed Up beauties--Mother's Magic and Crushed Seashells. 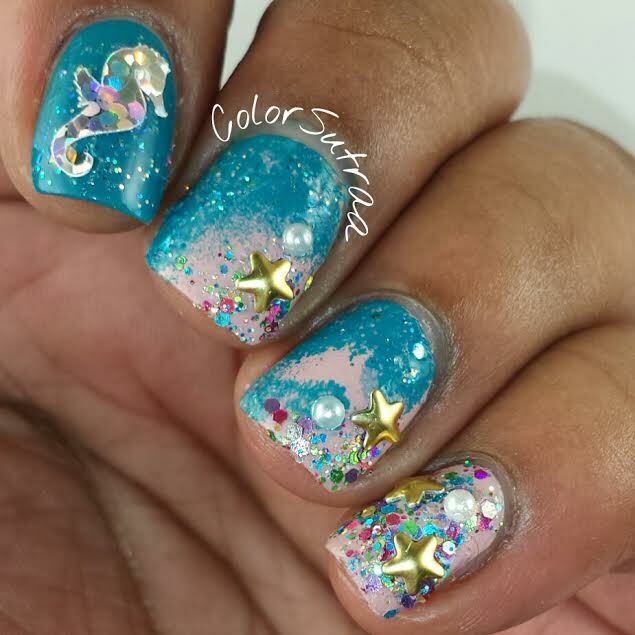 The holo seahorse decal is from You Polish--isn't it adorable?! 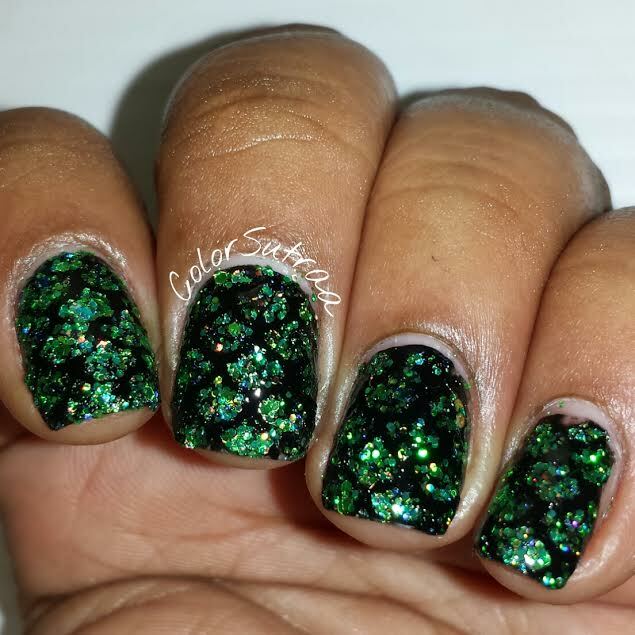 The base is a gradient of Zoya Cecilia and ncLA Nudes Volume IV (from June 2015's Boxycharm). 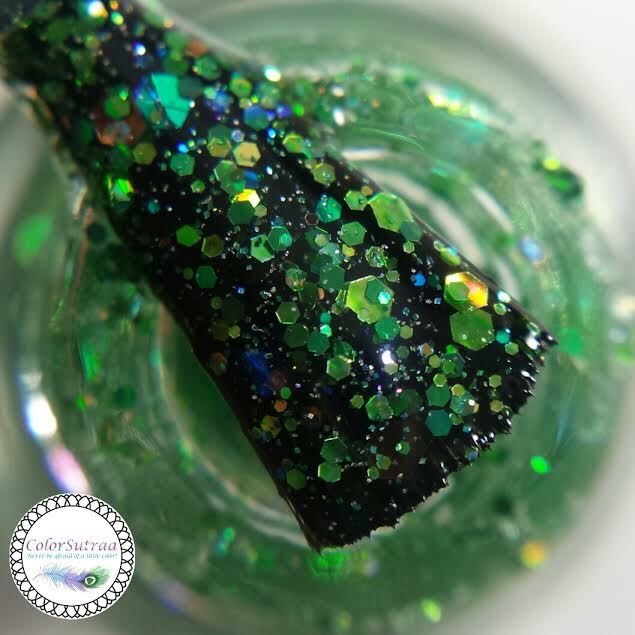 Mother's Magic is a clear glitter topcoat packed full of iridescent rainbow glitters of various sizes and shapes. 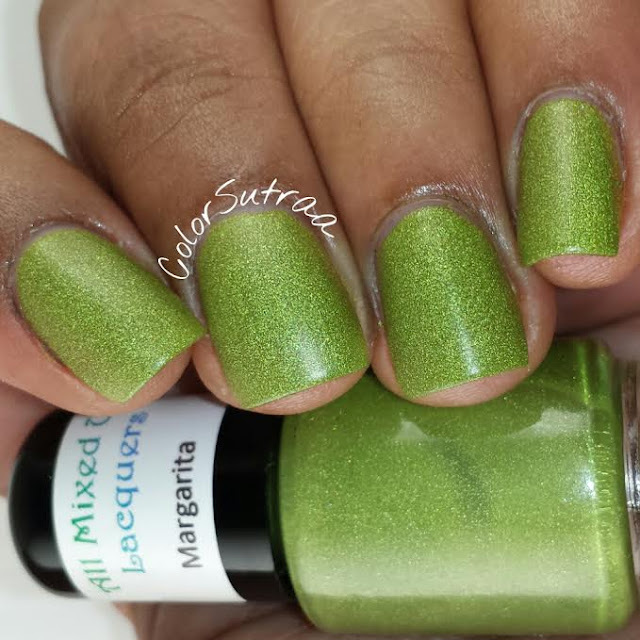 Smooth, easy formula and application and the macro below shows two thin coats over Zoya Cecilia. 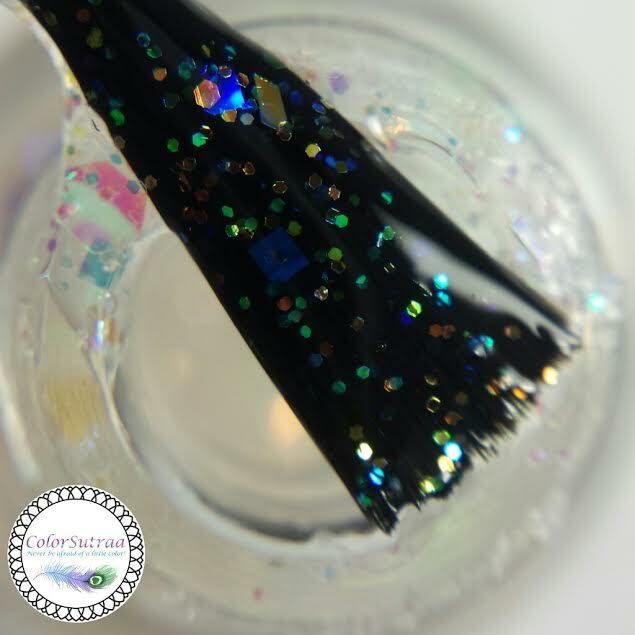 How pretty are those iridescent glitters?! Love! 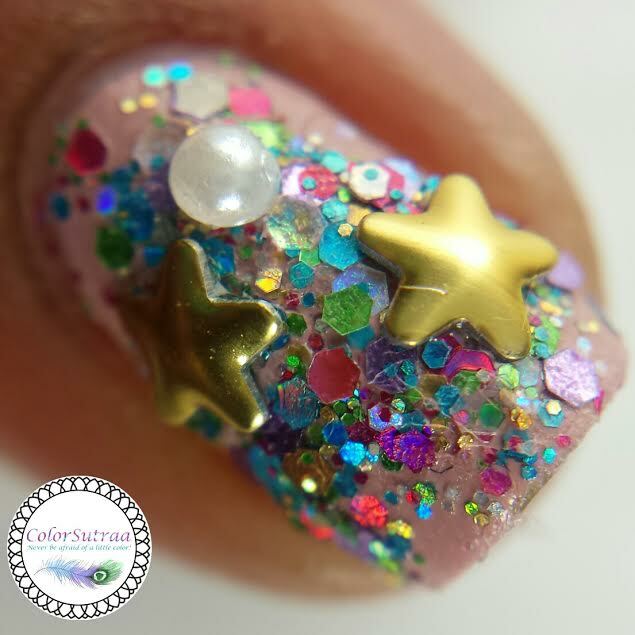 The macro below shows Crushed Seashells dabbed on over ncLA's Nudes Volume IV. 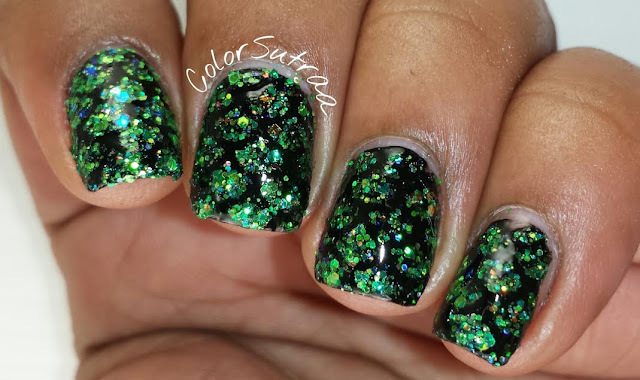 Last but definitely not the least, another nail art look--DRAGON SCALES. To create this look, I used Hulk Smash over Salon Perfect Oil Slick and Scales stencils from Whatsup Nails. 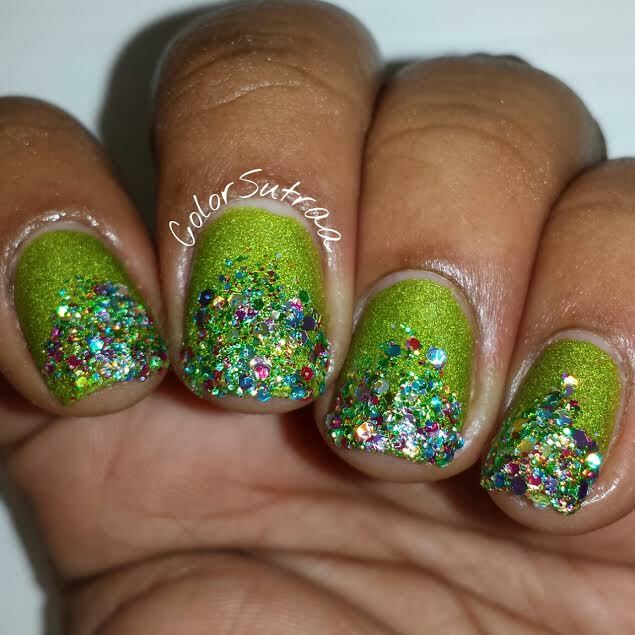 Hulk Smash is a bright lime green glitter topcoat full of holographic shimmer and blue/purple iridescent glitters. So there you have it, my darlings! 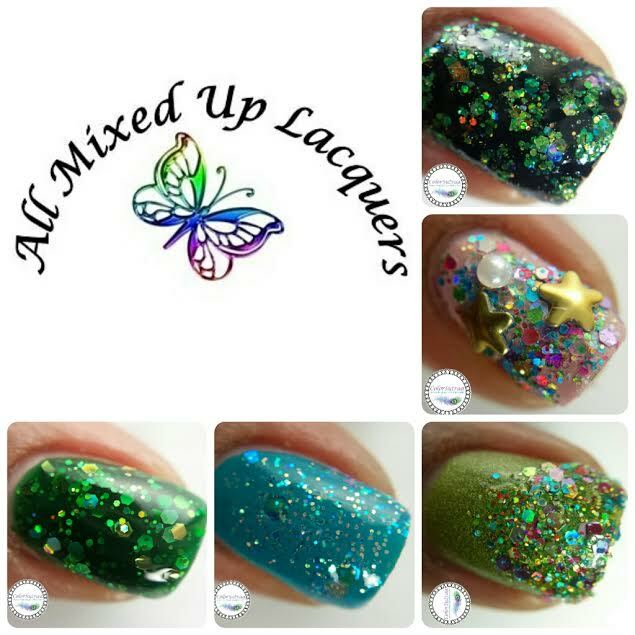 A little taste of All Mixed Up Lacquer's pretties which can be found HERE--prices vary depending on the polish. You can find L.J. 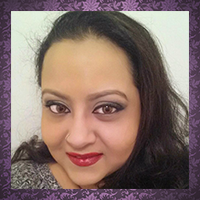 on FACEBOOK and INSTAGRAM--go give her a quick follow! 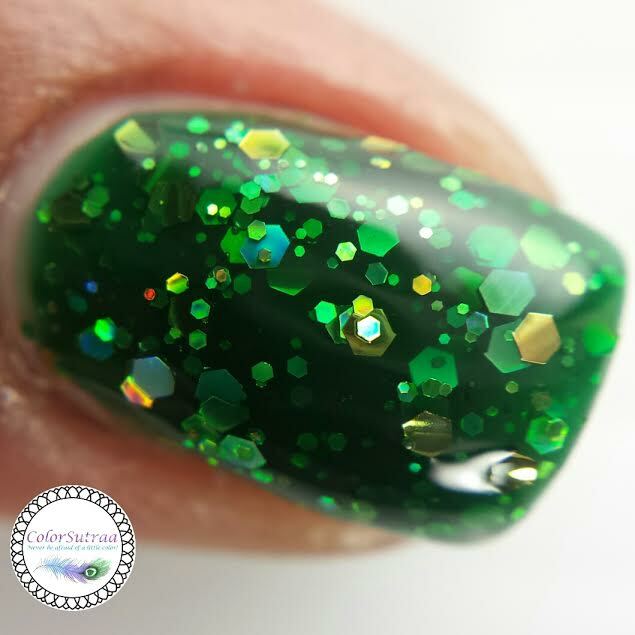 Which of these manis is YOUR favorite? As always, I'd love to hear from you in the comments section below!